I've long admired the super-efficient Sprinter van, but never quite understood the constant shifting of marques under which it was sold. Dodge? Mercedes-Benz? Freightliner? Truck expert UDMan to the rescue! Over on Hooniverse, Corvair racer UDMan has untangled the threads that make up the Sprinter's history, and it's well worth reading. 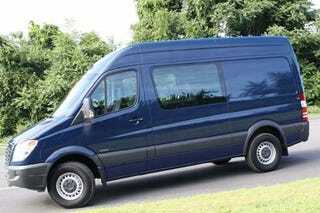 I might just have to get a Sprinter for my next cross-country road trip! And The REAL LeMons Winner Is... UDMan&apos;s Team Trailing Throttle Oversteer Corvair!